This ready-to-use resource gives teachers 15 kid-pleasing stories that are perfect for building essential reading skills such as predicting, making inferences, summarizing, and more. For each reproducible story, teachers will find a companion teacher page with vocabulary-building tips, reading strategy suggestions, and thought-provoking writing and discussion prompts. For use with Grades 4-8. 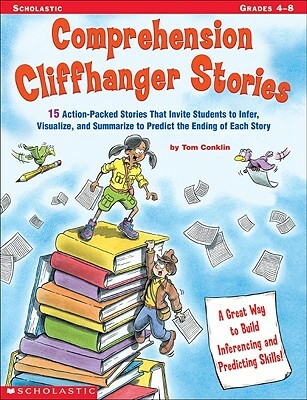 Tom Conklin in a New Jersey based writer who write for children and teachers. This is his second Scholastic Teaching Resources book.